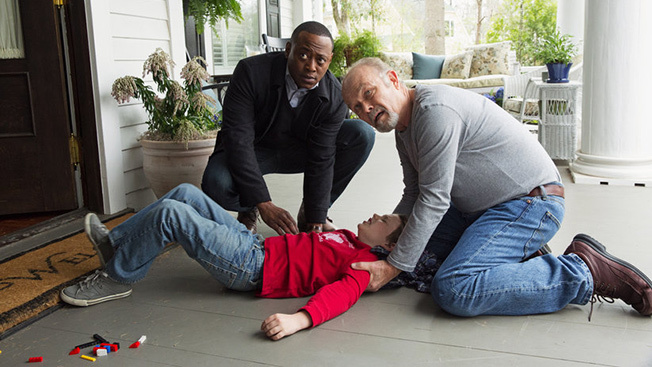 ABC on Sunday night got a much-needed shot in the arm, as the series premiere of its supernatural drama series Resurrection put up big numbers at 9 p.m. In an already frenzied time slot, the one-hour premiere was the night’s most-watched, highest-rated broadcast, averaging 13.9 million viewers and a 3.8 rating in the adults 18-49 demo. Resurrection now stands as the season’s second highest-rated network debut, trailing only ABC’s Marvel’s Agents of S.H.I.E.L.D. (4.7 on Sept. 24) and tying NBC’s The Blacklist (3.8 on Sept. 23). Resurrection’s big opening night put an end to a series of weak performances on ABC. On Jan. 2, the now-cancelled spy drama The Assets bowed to a 0.7 in the dollar demo, while Killer Women fared only slightly better five nights later (0.9). Meanwhile, after bowing to a 1.1 in the demo on Feb. 25, the Kyle Killen lark Mind Games fell to a 0.6 the following Tuesday. When compared to the season opener of the previous time slot occupant, Revenge, Resurrection was up 65 percent in the demo. The premiere was ABC’s biggest Sunday night launch since October 2011, when Once Upon a Time bowed to a 4.0 rating. ABC put a lot of promotional elbow grease into the Resurrection launch, giving the show a leg up during its broadcast of the 86th Academy Awards. That the pilot fared as well as it did is particularly impressive given the competitive landscape. The DVR-busting time slot played host to a new episode of AMC’s The Walking Dead, the season finale of HBO’s True Detective, the series premiere of the Fox science series Cosmos: A Spacetime Odyssey and the return of CBS’ The Good Wife after a two-month hiatus. Cosmos, which was simulcast across all Fox entertainment assets, delivered 5.77 million viewers and a 2.1 on the flagship network. UPDATE: When the ratings on FX, FXX, NatGeo, NatGeo Wild, Fox Sports 1, et al were added to the broadcast deliveries, Cosmos drew an aggregate 8.5 million viewers and a 2.9 in the demo. The Good Wife averaged 8.94 million viewers and a 1.3 in the 18-49 demo, down 28 percent versus its most recent original airdate (1.8 on Jan. 12). Bookending Resurrection were the returning series Once Upon a Time and Revenge, which shifted to 10 p.m. to make room for the freshman show. Once averaged 7.66 million viewers and a 2.4 in the demo, up 26 percent from when it last aired (Dec. 15), while Revenge in its new time slot improved 46 percent to a 1.9 rating. On the cable front, The Walking Dead drew 12.7 million viewers and a 6.3 in the dollar demo, down one-tenth of a point versus the prior week, while True Detective closed out its run with a series-high 3.52 million viewers and a 1.6 rating.